There was never any danger of Anthony Cunningham losing the run of himself. He admitted that going to Tuam Stadium and winning by five points had given his side “a bit of confidence” but he was already thinking ahead to Mayo in Castlebar and what impact Sunday’s FBD League final victory might have on that game. “We’d be very happy. It’s a work in progress the whole way through the team but the guys are able to play, there’s no doubt about it. It’s just about coaching, practising and becoming that bit cuter,” he pointed out. Once again, Cunningham honed in on the learning curve that his players had embarked on, feeling that beating a team of Galway’s calibre would stand to them. 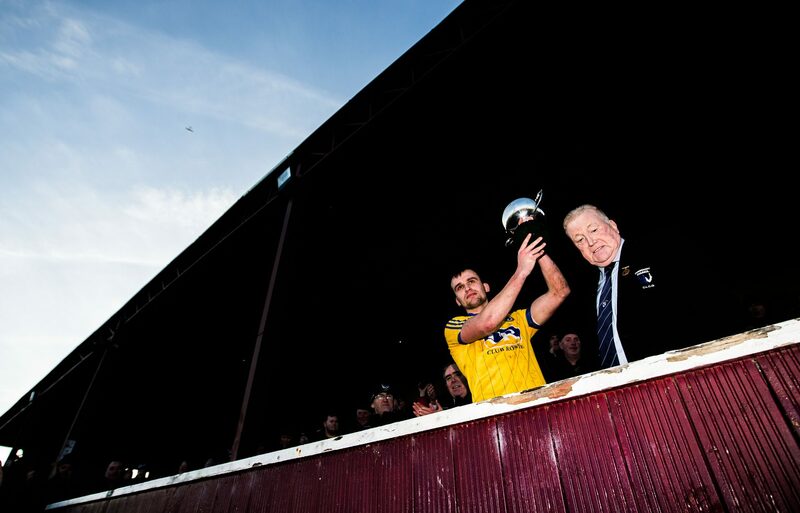 “Galway ran through for the goal really well, and they threatened to score one or two more. But we settled again and showed good composure. “Any day you come down to the home ground of any team, but particularly Galway because they’re a top class team for the last few years under Kevin (Walsh), you’ve got to learn. “You can’t train for these things because you get a sucker punch and it’s how you react. We go through that a lot with the players and hopefully they’ll build from that. It’s massively competitive,” he pointed out. Looking ahead to Mayo in Castlebar, Cunningham felt that improvement on a weekly basis was the key. He confirmed that Conor Devaney and Seán Mullooly remained sidelined through injury but they would be assessed this week ahead of next weekend. “It’s Mayo, and it’s Castlebar, but we just want to be playing all those matches. It’s how we improve from week to week is the big question. These guys haven’t got a lot of Division One football but we’re really looking forward to it. “It’s all about a bit of confidence. You learn that today, it’s about how you react and take it from there,” he concluded. Galway manager Kevin Walsh had no qualms about the result, feeling that the better team had won. “The result normally goes the way you deserve. You can only do things inside your own control and something like two out of 11 shots in the second half (17 per cent), it’s unacceptable. You’d want to be up around 60 per cent or something like that. “Maybe we got hit on the counter from dropping short and four or five free chances we’d normally nail. Momentum didn’t come our way but in fairness to Roscommon they were well set up and very hard to break them down. They were good on the counter. “I was just happy with getting the game. There was a lot of rustiness out there. I think there was something like eight yellows, three blacks and a red, so obviously we have to have a look at that again and see was it all discipline or was it down to some funny decisions? It was a game we needed very, very badly,” he explained. Walsh added that consistency in performance was often difficult in January and that the league would offer a more realistic yardstick in terms of where his side are at. “The talk about Roscommon was that they wouldn’t have been too impressed with themselves last week. We were impressed ourselves last week (against Mayo) so it changes. “There’s always a hard edge on Roscommon. I would say I was disappointed on our own side. Maybe there was a softer edge on our own performance in doing the basics right and that wasn’t good enough,” he conceded.